Our 20 count Rubber Mask Grease (RMG) makeup is an ideal assortment of the basic shades. 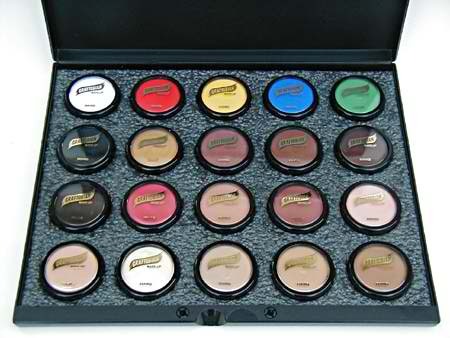 It is for the makeup artist that wants a complete line of basic shades RMG makeup. This palette comes in a convenient 13 in x 10 in laptop style, foam-lined snap case with 20 RMG 1/2 oz containers. When purchasing our RMG in this way, you save $30 on the RMG and get the $21 snap case FREE. 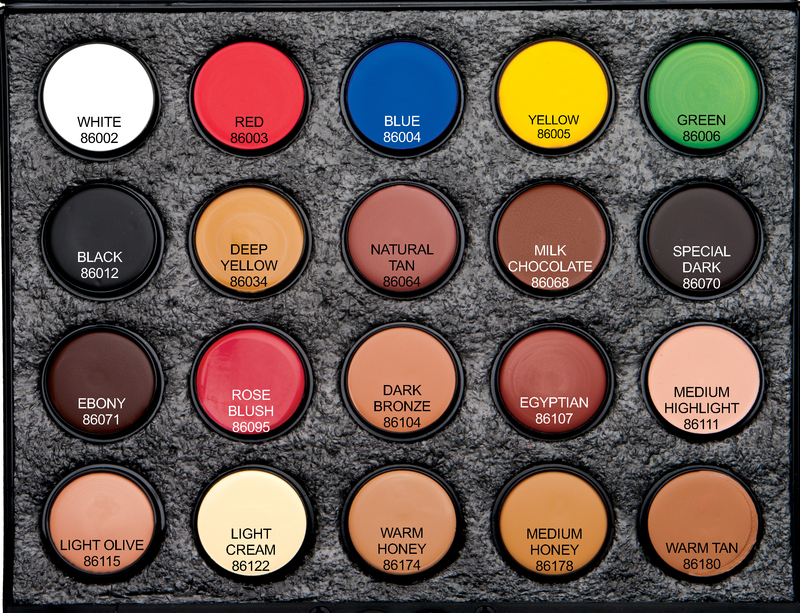 In addition to the basic shades RMG palette, we also offer a 20 color F/X RMG palette.